Comment: Water builds up .There is not enough sloop for the water to reach the drainpipe. A new drain needs to be added to the gutter. Comment: Gutter needs another drain .Right now the water builds up and does not flow to the drain pipe. Comment: I only need a small portion of our front gutter installed. Comment: I am looking to get a quote for new gutters and gutter guards. Meriden Gutter Cleaning & Repair Services are rated 4.64 out of 5 based on 939 reviews of 20 pros. 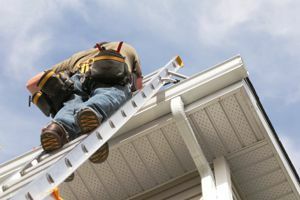 Not Looking for Gutters Contractors in Meriden, CT?